Choose an opposing character. If you damage that character this turn, KO it, draw a die from your bag, and place it in your Prep Area. 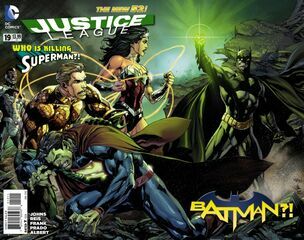 ^ Justice League Vol 2 #19. DC Database Wikia. Retrieved 13 October 2016.